As the warning signs about climate change continue to stack up, so too does the global private banking sector’s support for companies planning to build new coal power plants. New research published by BankTrack and its partners at COP24 in Katowice, Poland (see the press release for the publication launch) shows that between 2016 and September 2018 the top 120 coal plant developer companies accessed $478 billion from 235 banks. These companies are planning more than 68% of the 670,000 MW of new coal-fired capacity which remains on the table in the global coal plant pipeline – thanks, in large part, to most banks’ still insatiable appetite for financing coal. 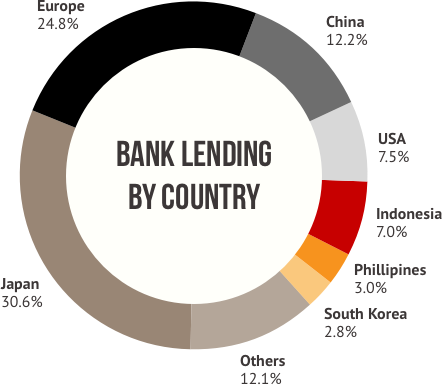 Lending, in the form of corporate loans, revolving credit facilities and project finance. Total lending for the period was found to be $100.7 billion. Underwriting, whereby banks raise capital for companies by helping them market new shares or bonds. Total underwriting for the period was found to have mobilised $377.2 billion. Read on for a breakdown of the new research’s key findings and supporting analysis. Where ‘2018’ is mentioned, this covers the available data for the first three quarters of the year only. For further details about the dataset, including information about individual coal plant developer company financing, contact BankTrack’s Climate campaigner Greig Aitken. 8% was in the form of project finance, or direct lending for specific coal plant projects. 92% was in the form of corporate lending (including revolving credit facilities), or more general provision of credit to companies. The dominance of corporate lending over project finance is significant. For those banks which have in recent years introduced policy restrictions governing their financing for coal power, most have chosen to stop direct project finance for projects; yet only a few of these banks have introduced policy regimes which restrict to some extent – or even address – corporate lending support for coal companies. 4. 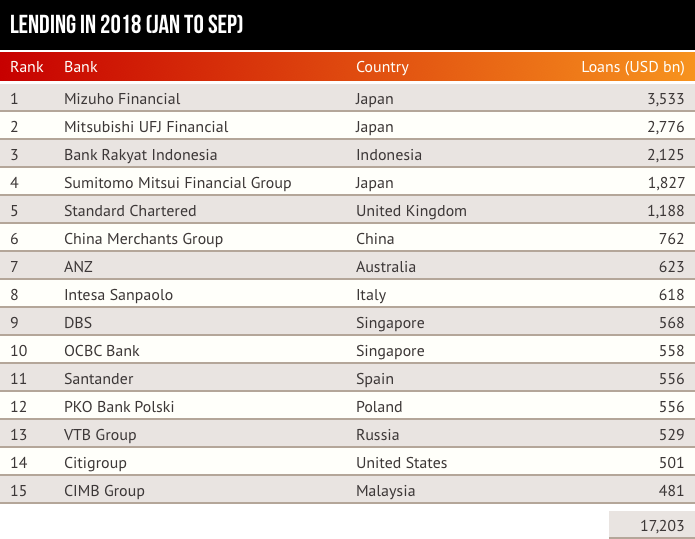 Japan’s big three banks – Mizuho Financial, Mitsubishi UFJ Financial and Sumitomo Mitsui – dominate the top rankings for lending across the period, and lead the way also in lending for the first three quarters of 2018. There is some Chinese bank presence, but much less concentrated when compared with underwriting (see below). 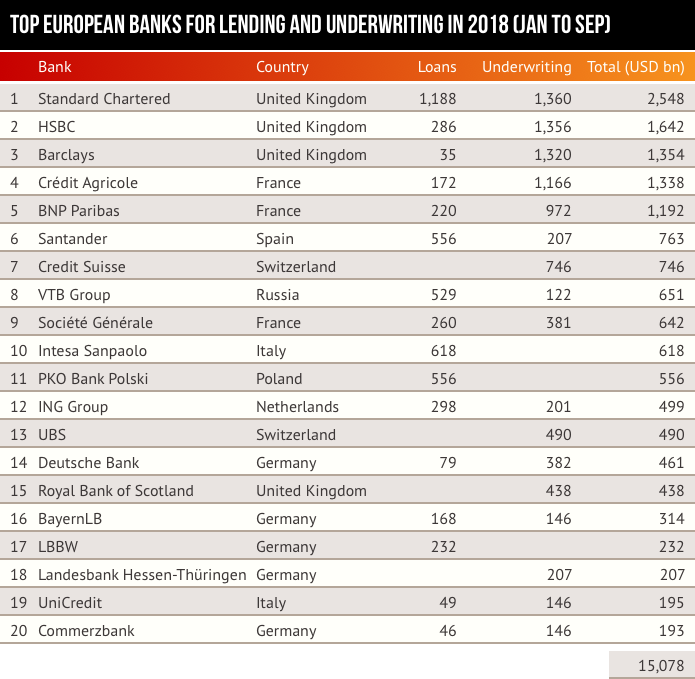 Major European and US banks remain prominent lenders to coal plant developers in spite of various policy advances aimed at reducing such financing; Citigroup’s position as the top non-Asian lender is attributable to its current lax policy on coal power financing. 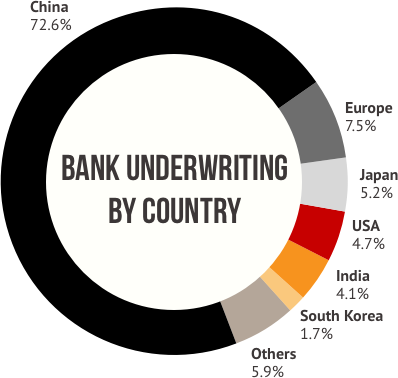 Chinese banks’ dominance of underwriting is stark, with a collective total of $271 billion over the period. This support has gone almost exclusively to Chinese coal developer companies. UK banks dominate the European support to coal plant developers across the period – and occupy the top three positions for the first three quarters of 2018 (see table below). 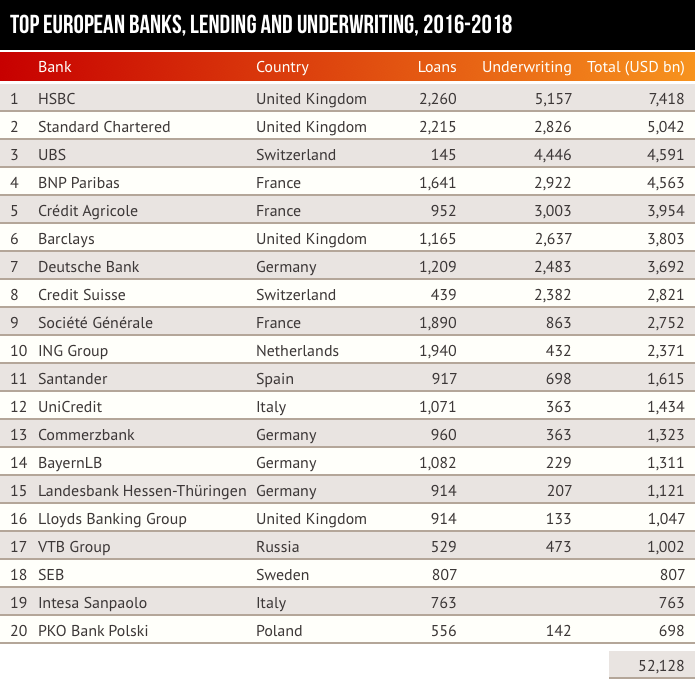 They are followed by French banks (collectively second) and German banks (collectively third). The large post-Paris Agreement support for coal plant developers in 2016 declined sharply in 2017. However, the decline seen in 2018 so far is a lot less encouraging given that the $14.9 billion figure applies only to the first nine months of this year. Visit the Coal Exit website, hosted by our partners Urgewald, to explore the comprehensive finance data for the top 120 coal plant developers and the banks which continue to provide them with financial support.